Girl in the North tries Nourisil MD Silicone Scar Gel….and LOVES it! It feels like a life time ago when I think back to being pregnant. I re-read some of my pregnancy diary posts this morning and I can’t believe how calm and relaxed I was about everything. I’m probably more anxious now than I was then! I was so well looked after during my pregnancy and had visits to the hospital every two weeks and sometimes weekly so I think that support really helped chill me out and I just felt what would be would be. My anti-birth plan also helped because I was educated by my consultant so I knew all the possibilities. I was booked a c-section at 36 weeks but prepared for anything to happen at any point. So when I ended up being rushed for an emergency c-section just before turning 35 weeks, it didn’t really phase me. From the moment I found out I was pregnant, I religiously smothered myself in stretch mark creams and oils, used a secret saviour, ate healthy and exercised gently every day. Forgive me for being a bit vain but I was determined to do everything I could to keep my body looking the way it did. 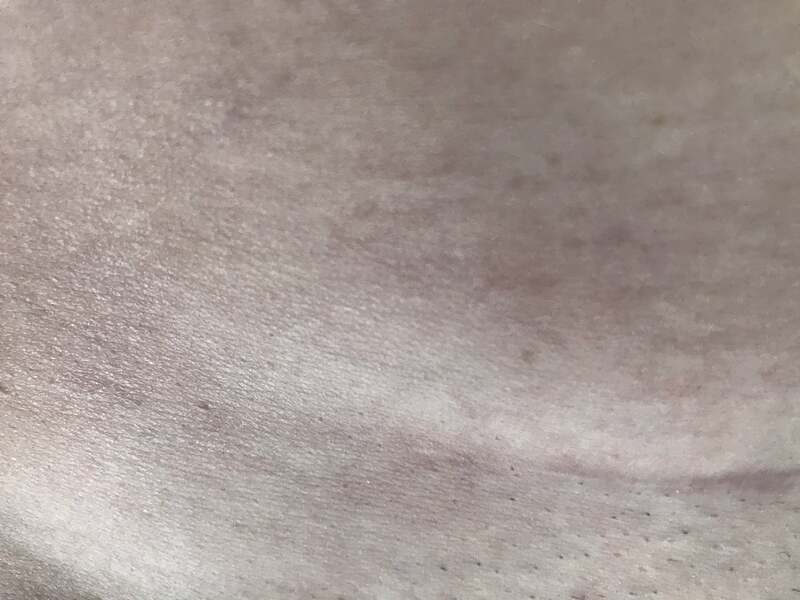 I hadn’t really considered a c-section scar in this until I received an email from a guy called Dan who was working on bringing a new scar gel product to the UK. I was gifted three small trial size tubes and later sent the actual retail product size – I popped one of the trial size tubes in my hospital bag but to be honest, I didn’t dare use it until at least a month after my c-section. I never realised there were different types of stitching or ways of healing op scars. I was quite ignorant and figured the professionals knew what they were doing. My surgeon did inside stitches and I had a horrible sticky web over the top. When I got home, my midwife asked me if I wanted her to remove it. She likened it to the same feeling of a Brazilian Wax and in the same way most people would dread ripping off a plaster – I wasn’t looking forward to it. I ended up peeling it off in the bath and having had many waxes in my lifetime, I couldn’t compare it to that. Perhaps my pain threshold was a bit higher than normal but I didn’t even think it hurt. Once I’d removed the webbing, I looked down and realised how low my scar was. Even if I wore a very small bikini, it’s so low no one would ever see it. It did look nasty though and was red and bumpy. Once I got brave enough to touch it, around a month post-op, I started applying the Nourisil MD gel. I left the tube in the bathroom so that every day, once I’d showered I would always put it on. As the girls got older and life in general got more chaotic between feeds, weaning and nappies – I kept forgetting to put it on. I’d say I maybe went to weekly applications. I never really noticed my scar or had the time to stand in front of a mirror and check it out… it was just there. In January this year, my Aunty had an operation to remove a mole off her neck. To be safe they didn’t just take the mole but a good inch all around and she was left with what looked like a stab wound. It was horrible, lumpy and sort of a bright red/dark purple colour. She seemed very down about it and the doctors had told her it would leave a nasty scar. As I hadn’t really taken the time to look at my scar I was sort of unconvinced about the gel but figured it couldn’t hurt for her to try so gave her one of my trial tubes. When she came to Edie and Mabel’s first birthday in June, I’d forgotten all about it until someone mentioned her op. She proudly moved her hair back to reveal absolutely nothing, and I nearly fell through the floor. Her scar had completely gone and I got very close to her neck, I would never have known she’d had it done. She was thrilled with the results and kept telling everyone how brilliant the gel was. So when J took the girls through to his parents the other week and I treated myself to a bath and figured I’d take a proper look and I was actually amazed. I’d been emailing Dan saying I hadn’t noticed much of a difference but actually, I don’t think I really ever took the time to look properly (sorry Dan). There’s barely anything there! It’s very low down so photos are difficult without revealing everything but below you can see a completely unedited strategically taken picture. I do actually have a lot of scars on my face as I was attacked by a Rottweiler when I was nine. I have what I call my Harry Potter scar on my forehead above my eyebrow, my nose is covered and I’m missing part of my lip. I did have surgery at the time and treatment but it was so long ago, people don’t tend to comment on them but they are far more pink and noticeable than my section scar. It makes me wonder now, if this had been around back then what would my face have looked like. The chaos of managing life with twins has meant I’m guilty of not always taking time out for myself. Nowadays my showers happen after Edie and Mabel are all dressed, fed and ready with them in the bathroom playing and I’m lucky if I get to make a coffee, let alone drink it. This really made me realise that I need to take a step back and prioritise things a bit better for me. It’s been just over 13 months since my c-section and in that time I’ve not noticed a huge mark on my body almost completely disappear! So although life is very busy now, I’m going to be rearranging things around to ensure I do take a little time out. Work is going to have to wait a bit longer!